In the aftermath of Super Typhoon Haiyan, Toluna is deeply saddened by the devastation and loss of life that has befallen the island nation of the Philippines. 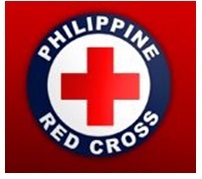 We would like to do our part to aid in relief efforts, and with your help will be making a donation to The Philippine Red Cross. Toluna is giving members in all of our communities the opportunity to help by creating a special Haiyan Relief fundraiser option in the Rewards Center. We will be collecting member point donations now through November 30th, and hope to make a generous contribution to help the people affected by this disaster. Please visit the Rewards Center today to donate points to the Haiyan Relief fundraiser. You may donate as little as 100 points to this fundraiser, and on December 2nd, we will add up our member’s donations*, and will announce the total amount to be donated on behalf of our communities. Our hearts and prayers go out to the families affected by Super Typhoon Haiyan, and we hope to play a small part in aiding the people of the Phillipines, as they recover from this storm. *Toluna will be accepting donations through November 30th, to a maximum of $10,000 globally.